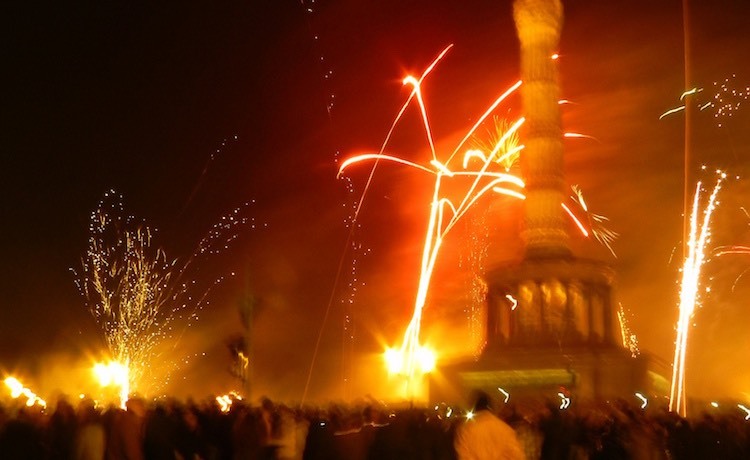 Organized by the city, this party has a long tradition: Right from the Brandenburg Gate up to the Victory Column (SiegessÃ¤ule), you can attend a live music show with international stars, a countdown at midnight and probably the biggest fireworks of the city â€“ all for free. And this year luckily without painful freezing, as the temperatures might be even around 10Â°C. On the music line-up of 2017 are: Die HÃ¶hner, Tom Gaebel, Rednex, MÃ¼nchener Freiheit, The Rasmus, Bell, Book and Candle, Nana, Oli P., Spider Murphy Gang, Whigfield, Fernando Varela, Lucenzo. The area opens already at 2pm, coming this early will allow you to see the dress rehearsal of the whole show. Latest, you should arrive by 7pm, as it might get full then and they won’t allow more people to enter if the area is filled up. The party ends at 3am. Read more on the official site (in German). Enjoy your New Year’s Eve and Guten Rutsch!